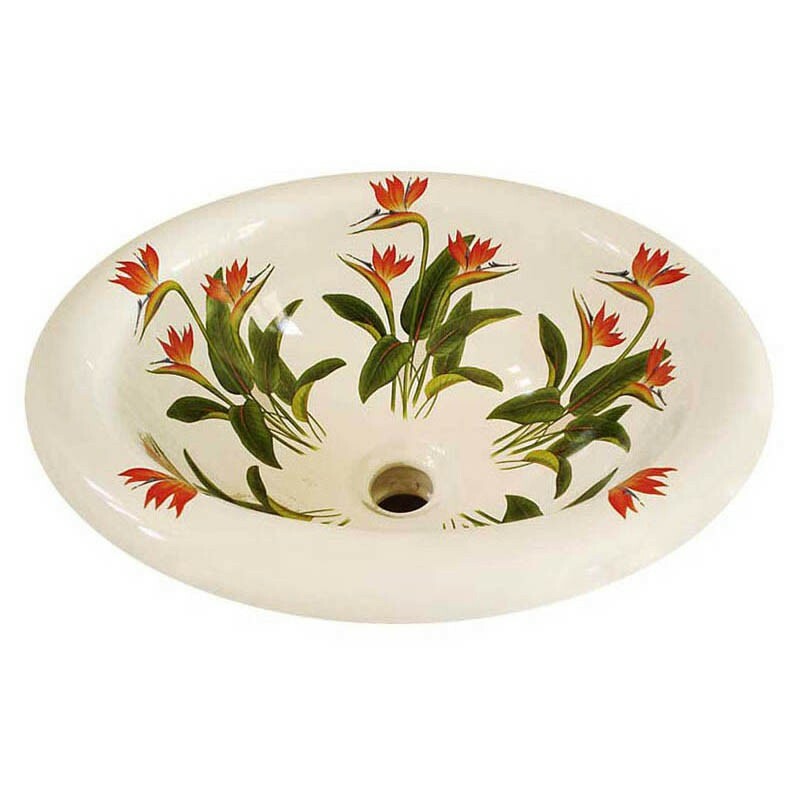 Customize your guest bath or powder room with this colorful design painted on the sink. The exotic Bird of Paradise flowers are colored deep red, tangerine-orange and a beautiful shade of purplish-blue and are centered around the drain of the basin. Shown on Bisque color Petite Rolled Edge Drop-in. Can be adapted to any fixture with a center drain. My husband and I love these sinks that add a cheerful touch to our bathroom. Nice to see these pretty birds staring back at us especially in dark rainy months. Thanks so much. Great quality. We love our sink and have had so many compliments from our friends. It is beautiful and unique. 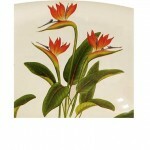 A few years ago I remodeled our powder room in a bird of paradise theme. The sink was perfect, and, to my surprise, Lynne made matching tiles for the indented display shelves in the shower wall. Everything turned out great. Her workmanship and professionalism made it a very pleasant experience.